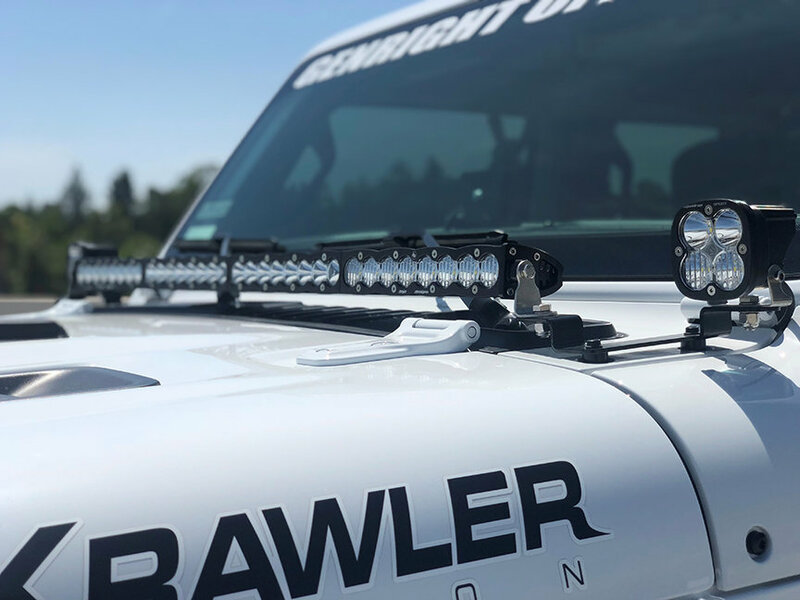 This Squadron Sport & 40" S8 Driving/Combo LED Light Bar with Cowl Mounts for your Wrangler JL will give you an ample amount of light for those dark nights out on the trails. 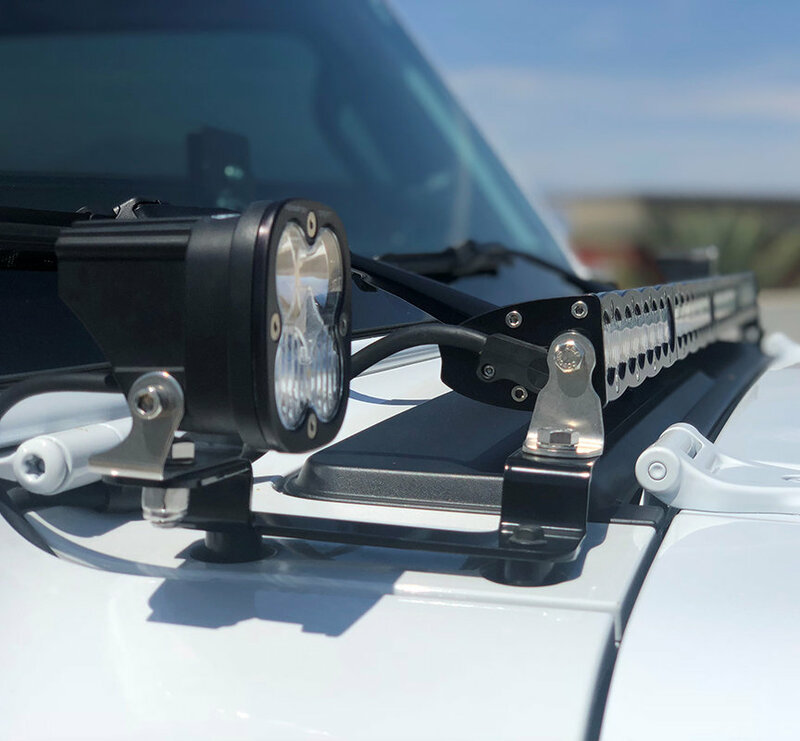 The inventive cowl mount brackets allow you to mount a 40" light bar along with a pair of Squadron lights to the hood of your Jeep & are black powder coated for a long lasting great look. Attached to that mount will be a powerful 40" S8 Light bar with 18,080 lumens & a pair of Squadron Sport LEDs registering 2,260 lumens. All in One Kit: This kit comes with everything you will need to turn your Wrangler JL into a night riding rock crawling machine. 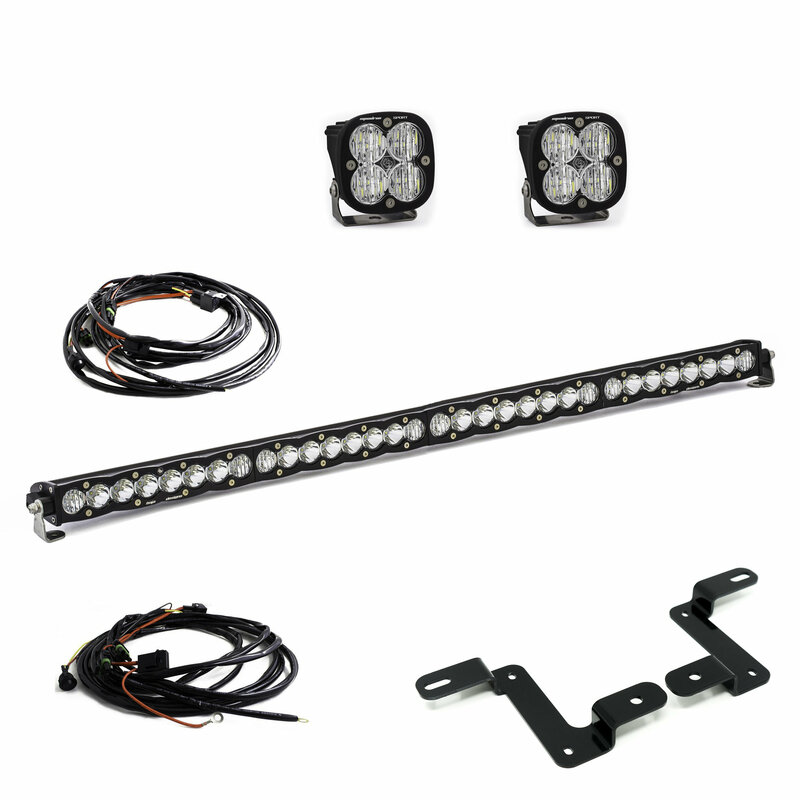 From the powerful S8 LED light bar to the strong Squadron LEDs this kit will add enough lighting to turn night into day.